The seo world has changed a lot in its practices. If we compare the practices used in 2006 to 2009, more than 8% of old practices were vanished. In the old age the game was too different. Simply arranging the SEO title, meta tags were the available on page SEO service practices. During a content specific period it was easy to list pages in prior passion with some black hat techniques like keyword stuffing. 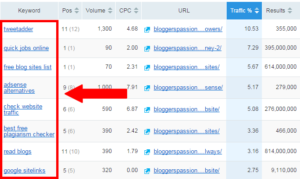 Because the number of keyword occurrence was counted for ranking. But in the later years, the total game changed a lot. The serious Google algorithm updates make the SEO crowd more serious in their practices. Google was successful to improve the quality of their search results. The idea about Best SEO techniques to defeat your competitor has changed the work pattern of SEO experts. Professional who seriously optimized websites succeeded in their profession and others retired. If the current SEO professionals think about their old practices, will be a big matter of shame. Shameful old practices were due to the ignorance. 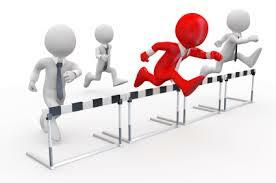 In world of competition, there may be many thoughts to defeat the competitors. It is not appreciable to use cunning methods to outrank the competitors. But can be clever to improve quality, authority values of our own than them. Practice methods which help to improve quality of our website components will help a lot. Google likes and support quality. What they want is to provide quality results to their search engine users. Improving quality in our content, optimization, link reputation, authority values will definitely bring higher ranking. Since the basic SEO practices remains unique, apart from that, you have to keep good stuff for your audience. It will automatically bring good number of impressions, clicks, ranking positions and CTR. Even basic need is to impress the Google bot with quality content; getting user responses also became unavoidable. In this blog post I am sharing some valuable tips to defeat your competitors. 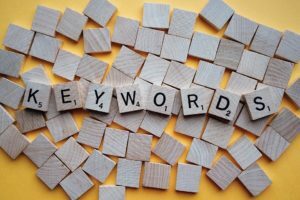 Keyword adoption is a clever method to research on best SEO techniques to defeat your competitor. Normally in competitor analysis, similar websites trying for your targeted keywords will be identified. Then the power of those competitors will be scaled. 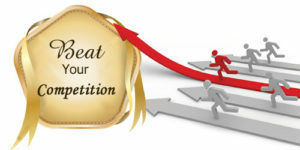 Before the power of competitors were mainly scaled with Google page rank. Now Google page ranks is no more available in any Page rank checkers. Google hide the page rank data from public now. In a normal competitor analysis report, data like Google visibility, traffic ranking, number of back links, social media analysis & internal analysis were conducted. Now the situation has changed. Page authority & domain authority are check instead of page rank. While analyzing your competitors, you can identify some of their important keywords using prime tools like Alexa, SEMrush etc. Once their main keywords are identified, we can try to rank our website for those keywords. It is by purely adopting their visible keywords which should be relevant for your website. Once the ranking keywords are identified, cross researches can be conducted to top ranking websites for those keywords. A detailed data sheet can be prepared with their ranking position, search volume, keyword difficulty score, competition etc. SEM Rush provides more detailed data with different custom options such as search volume, difficulty score, position, cost per click value etc. 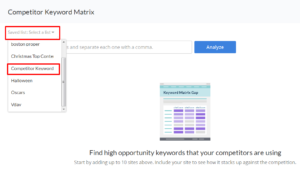 Logically Keyword Matrix analysis is a best SEO techniques to defeat your competitor. 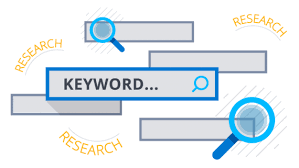 Keyword Research method is very simple. You can use Google for the research. Yes Google, most used search engine can be used as your best keyword research to for finding related keywords. Just identify most relevant keywords for your website. Google it and at bottom of the search results, you can find its related keywords. Google explains the related keywords as searches related to the term used by you. Logically use most relevant keywords suggested by Google’s related keyword list.